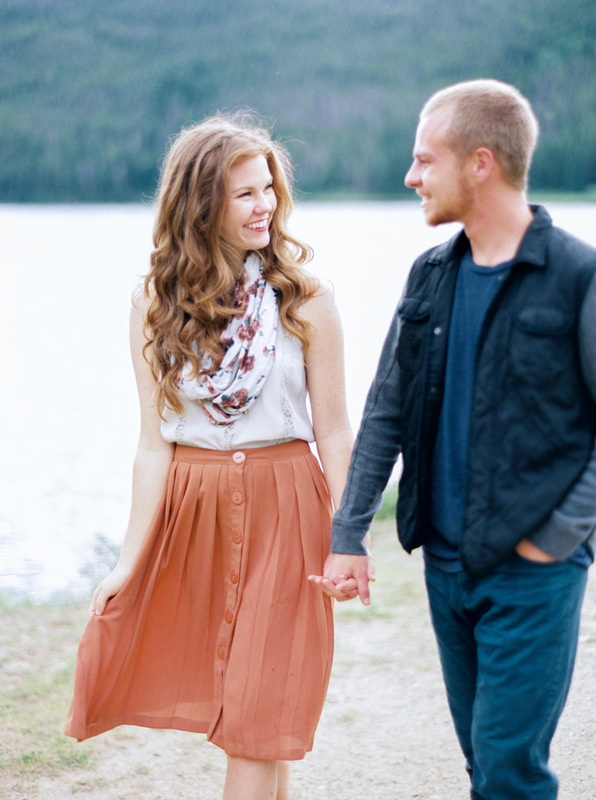 Engagement sessions ... I love them SO much! I love the way they give me a chance to get to know my clients, and the way they allow my clients to get to know me. I love the way they allow a bride and groom to get comfortable in front of my camera lens long before their wedding day. I love the freedom they offer so that my clients can really have fun on a photo shoot, away from the pressures of their wedding day. 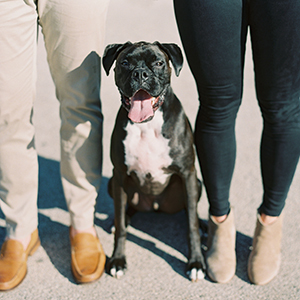 Over the years, countless couples have told me about a big, hairy worry that gets in the way of their excitement about their engagement photos. They simply don't know what to wear. 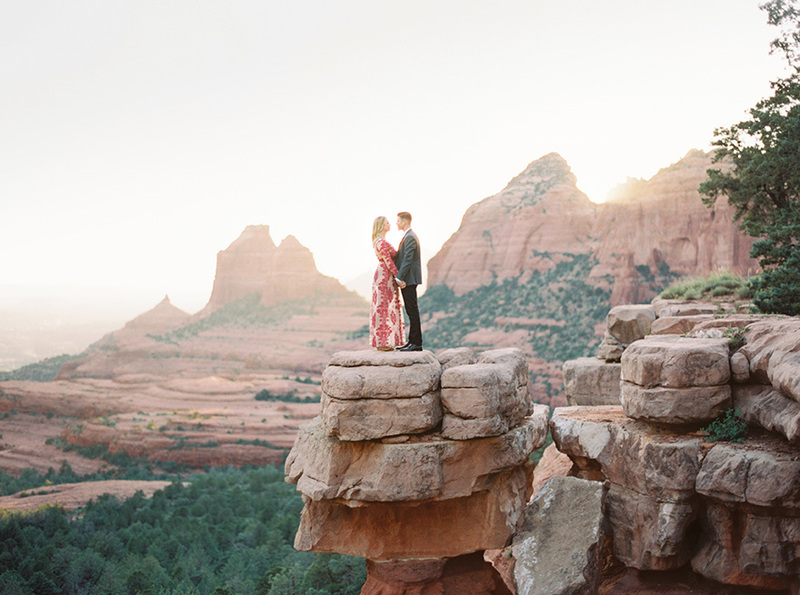 And since many couples have plans to use their engagement portraits on their save-the-date cards, guest book, wedding website and more, not knowing what to wear can lead to serious stressing out! A - Level of formality. If he's in a tux, she shouldn't be in a peasant blouse. And if she's dressed to the nines, he shouldn't be in a sports jersey. B - Color Palette. Drawing from the same color palette is a great way to coordinate! Check out the photos from an engagement shoot I did in a kitchen below. I love the way Alex from AVE Styles pulled these outfits together to create a cohesive look. There's no question that these two belong together! 2 -- Embrace color and pattern! I know, I know -- you've been told for years that black is slimming and white is classic. But free your mind and your wardrobe from these constraints! I already mentioned the way color can be used to help coordinate. Well, pattern is a perfect way to FIND these colors. Choose an item of clothing with a pattern and then draw colors from within it to create the palette for your outfits. I love the way Dara's scarf in the photos below brings all of the colors in BOTH outfits together. One word of warning! Small, tight patterns, like very narrow stripes, aren't the best for photos. 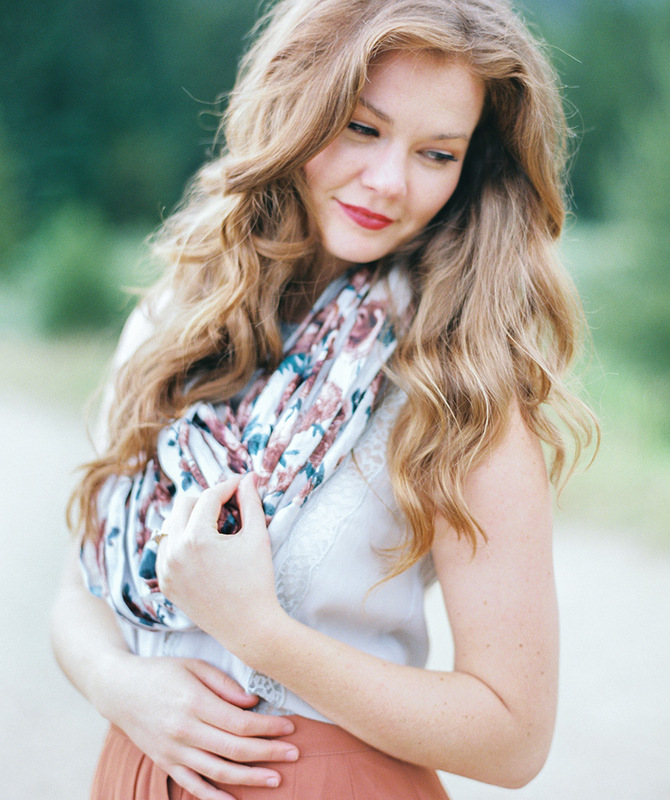 3 -- Layer and accessorize! 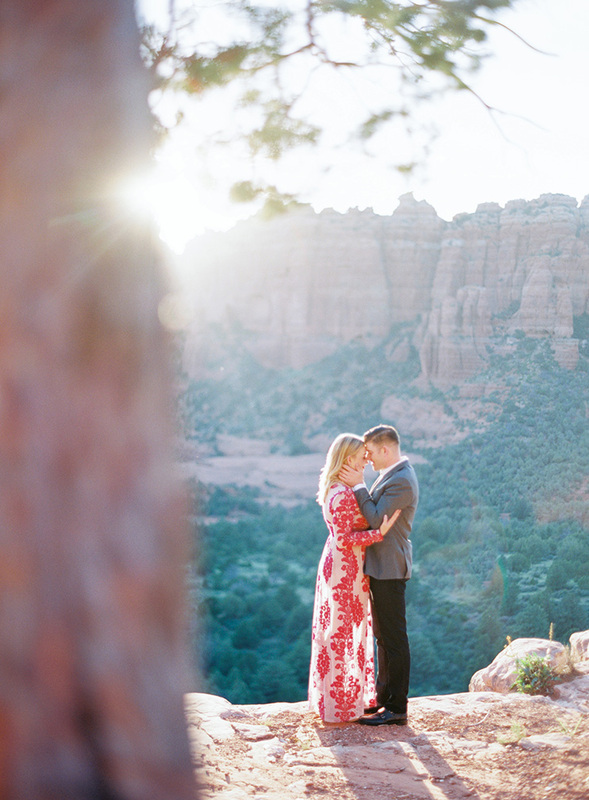 Layers and accessories can add so much depth and interest to your photos. They can also turn a decent outfit into a stunning one. In Amy & Jordan's snowy portrait shoot below, both outfits are great on their own. But Amy's plaid scarf and knit hat and Jordan's fingerless gloves add an extra level of style, personality, and texture! 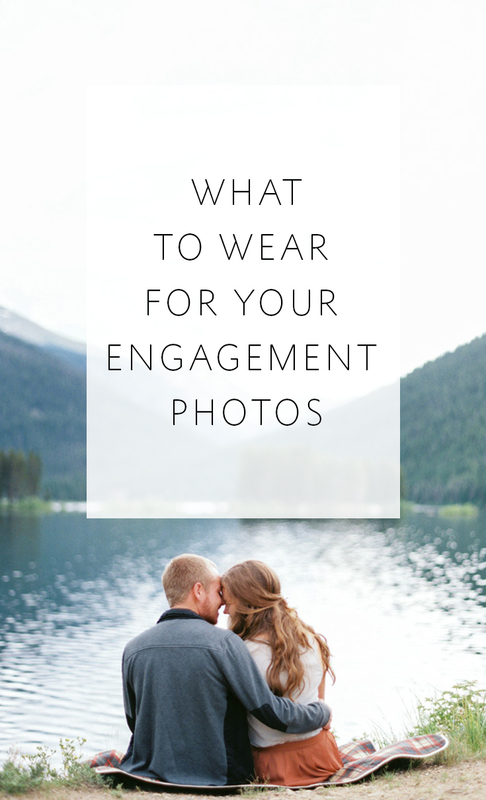 Besides adding interest, accessories are also a great way to bring your personal sense of style into your engagement photos. 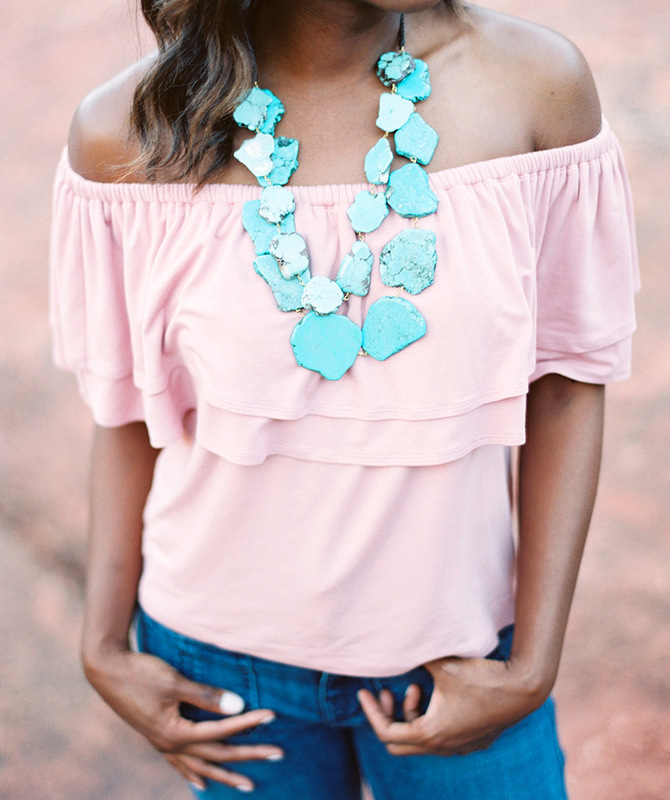 Alexis's chunky necklace in this photo is a showstopper, and it adds her special flair to her otherwise casual outfit. The most important suggestion I can offer is this: Be yourself, but be the BEST VERSION of yourself. 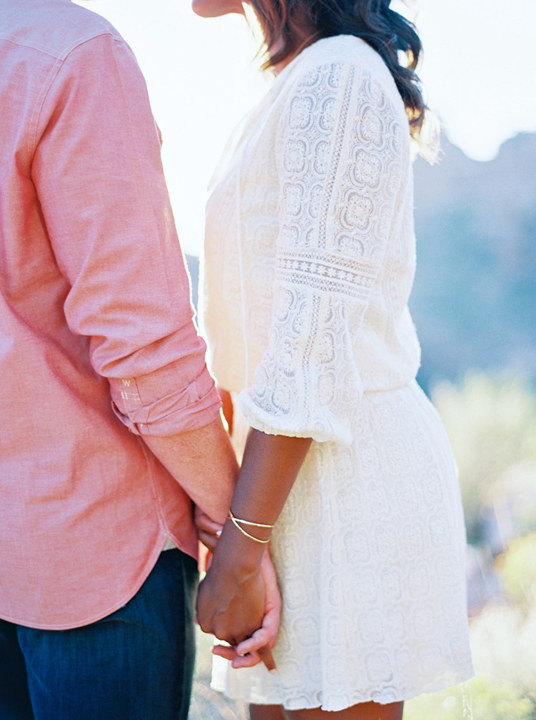 Elevate your outfits beyond the everyday so that you'll have engagement photos that you'll want to show off for years to come! For more inspiration and examples of photo-ready outfits, take a look at my Photo Style board on Pinterest! 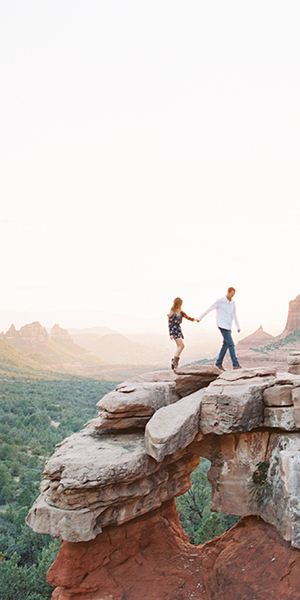 You might spot an outfit idea that would be perfect for your own engagement shoot! ----------->It's a great idea to start thinking about the timeline of your day early on in the wedding planning process! If you would like to have a timeline to start from delivered right to your inbox, click here to take a quick 2-question quiz, and we will email you back with an ideal preliminary timeline based on the sunset time on your wedding day as well as whether or not you would like to do a first look!